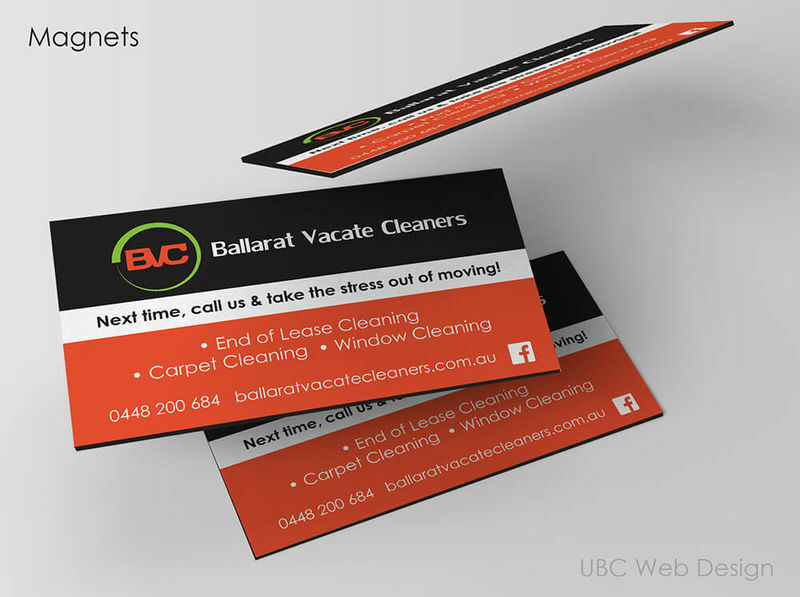 There is no need to go elsewhere for your graphic design needs. 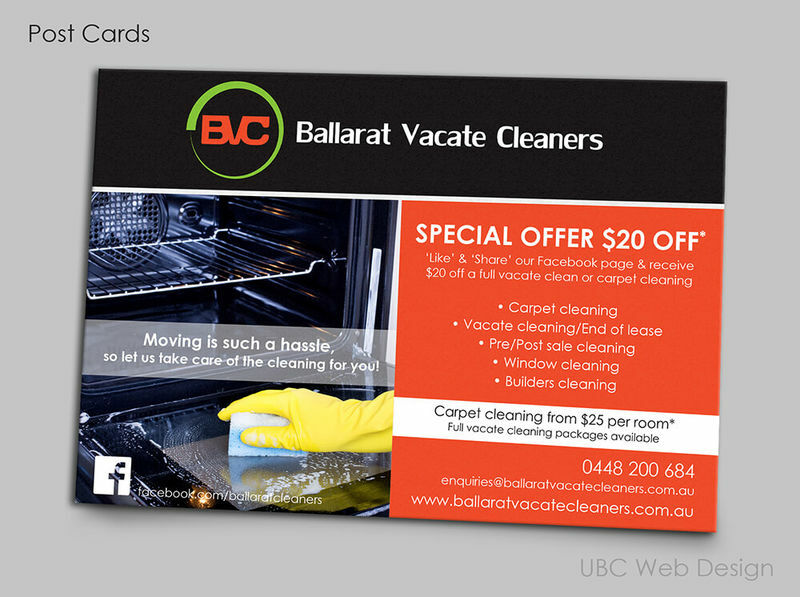 Ballarat Vacate Cleaners came to us as they were wanting a fresh new website. They already had a new logo that they were only featuring on their clothing, but not on their website, social media or marketing material. Thats where UBC Web Design team got involved. 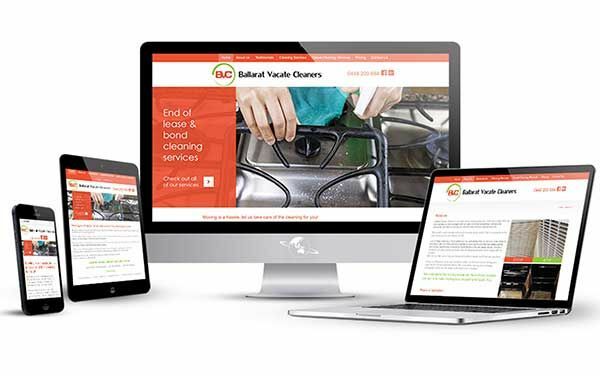 We not only updated their website with a great new fully responsive website we also helped them brand their facebook and created new business cards, magnets and post cards for all their marketing needs.